Always a step ahead he taunts you with cunning moves and precision driving as the entire world follows your every move on the news. Will you be part of the heroic team that ultimately nabs the notorious Don or will he escape again only to emerge and continue his spree of audacious heists. 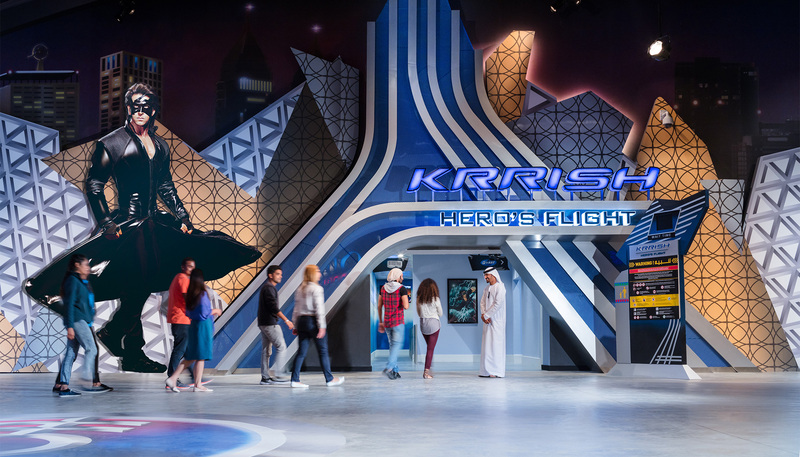 Bollywood Parks pays tribute to the South! While Bollywood is hugely popular, there is a parallel film industry in South India which regularly inspires Bollywood. This high energy performance takes you to the heart of the south with their fast witty dance moves that will set the heart racing and your feet stomping.